This is the fourth quilt I ever made. It was given as a gift in December 2002 or January 2003, to a friend whom I'd known since middle school, in celebration of the birth of her first born. 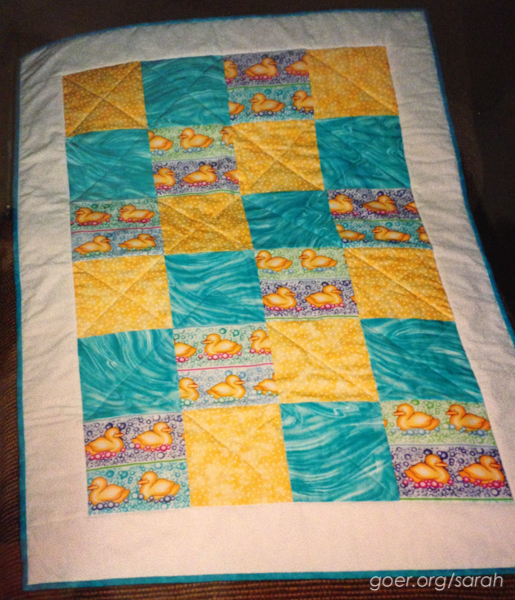 This was my second consecutive duck quilt. I love the cute ducks and the wild backing fabric. I was pleased to run across a couple printed photos of it this past week and I'm happy to be able to share them with you. Posted in Quilting on February 19, 2015 by sarah. 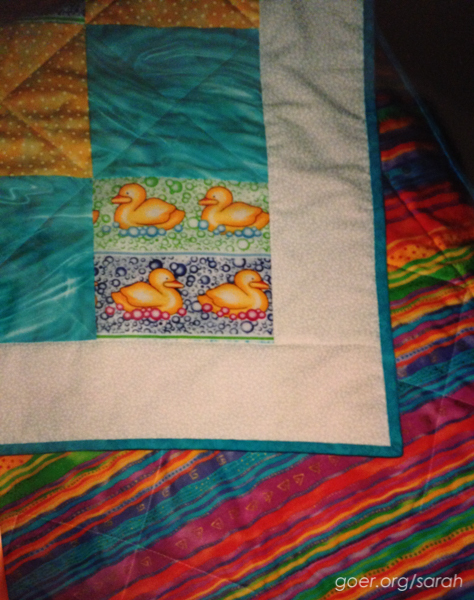 I love the duckie quilt, the colors are splendid. Thank you, Mary. It was a fun one to make.